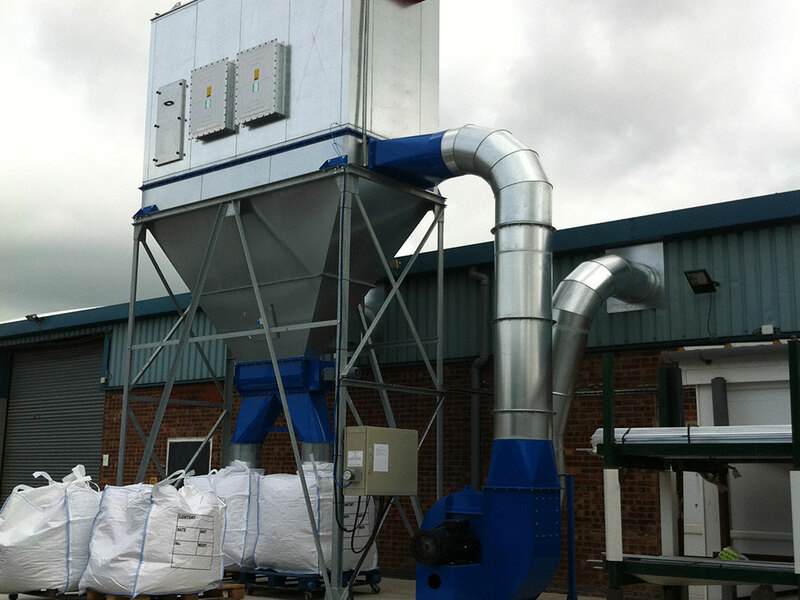 Our Shaker Filters incorporate tubular filter bags, which are essential for large particulate matter and help reduce the risk of bridging and blocking. 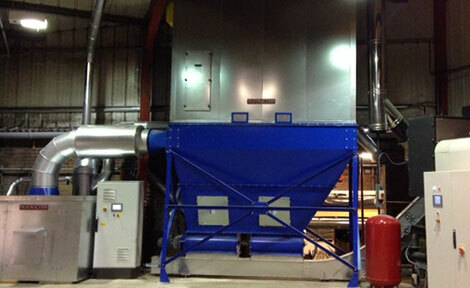 Dust particulates are captured within the shaker dust collector. As particle velocity decreases, the heavier fractions fall directly to the hopper while the fine ones are drawn against the inside surfaces of the bags. 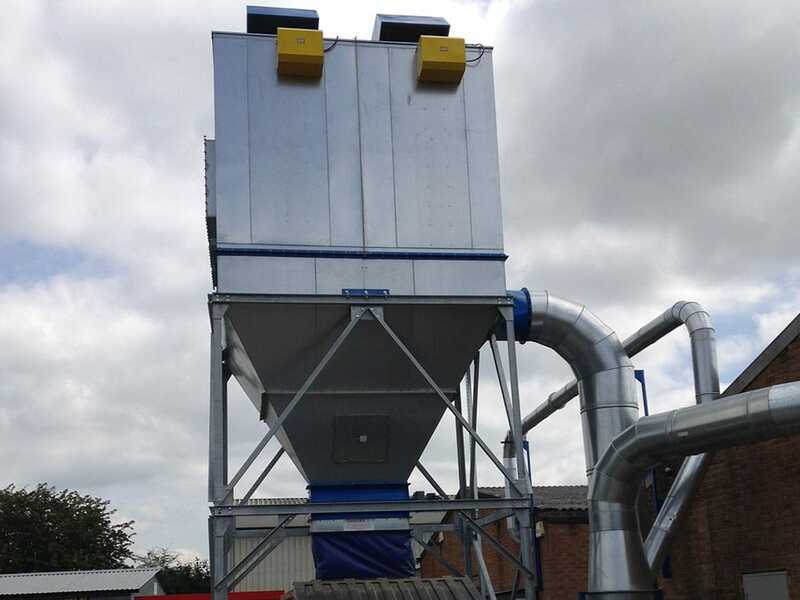 The filters are equipped with automatic shaker mechanisms which enable the waste to be discharged into waste sacks, bins, or via a hopper or rotary valve into an enclosed skip. The filtered air expelled from the shaker filter dust collector may be recirculated within the building or released outside. Cleaning is straightforward and hassle free with an integrated electric shaker system, making it a low maintenance dust collection option. The shaker filter frequency varies according to the quantity and type of accumulated dust particulate. During the cleaning cycle, the system has to be shut down to allow particles to fall and settle down in the hopper. The majority of dust is removed within the first five to ten seconds of cleaning. When Dave Waldron, MD of GP Cases Ltd. in Wiltshire, began researching new dust extraction for their wooden packaging business to upgrade an old and “rather tired” system at their 20,000 sq. ft. factory in Royal Wootton Bassett, they knew they needed specialist help. 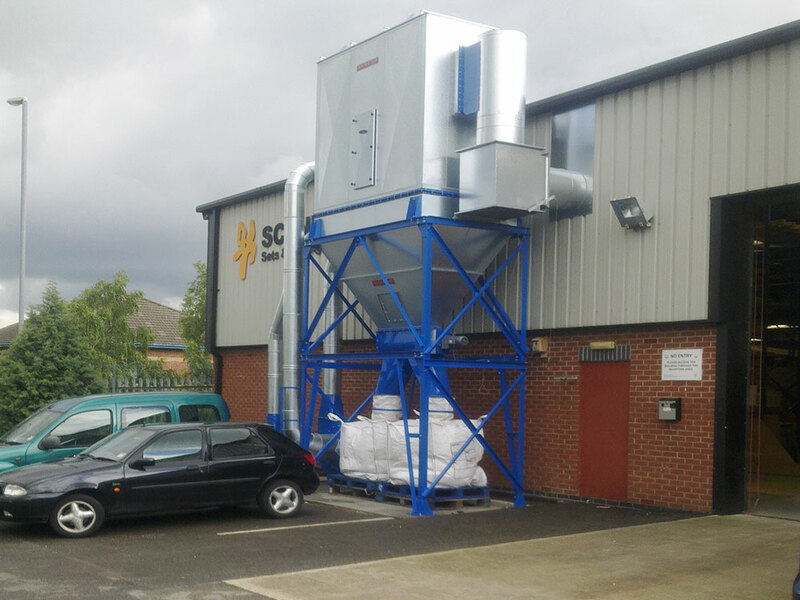 They had been running the old, labour-intensive layout for years and towards the end of 2015 wanted to combine a new dust filter and extractor with the installation of a biomass heating system.